I’d like to discuss the importance of music and art education in today’s curriculum. As we all know, over the past several years there have been many budget cuts in the education system. With the increasing emphasis on core subjects such as Math, Reading, Writing, and Science, music and art education programs are the first to go when funding gets tight. However, not everyone agrees that we should be so quick to eliminate music and art from the curriculum. There are many educators who continue to contest budget cuts in art education and have quite a bit of research to back them up. Academic research has found a link between arts education and success in other seemingly unrelated subjects. Studies show that students who are lucky enough to have music education receive higher grade point averages in core subjects (specifically math) than those who do not have music education ("Academic Achievement and the Need for a Comprehensive, Developmental Music Curriculum" By: James R. Ponter). However, while dance, drama, and art education have an affect on academic achievement, those results are not statistically significant (“The Relationship Between Music and Visual Arts Formal Study and Academic Achievement on the Eighth-Grade Louisiana Educational Assessment Program (LEAP) Test” By: Richard Allen Baker Jr.). So it seems that not all art education is equal. Some disciplines within the arts simply have a more significant impact on other more academic disciplines. Even in disciplines which showed no statistically significant impact on performance in core subjects, studies have shown that there can be other important benefits. A rise in confidence, an eagerness and willingness to learn, and creative thinking among the students all resulted from drama, dance, and arts education. Each of these benefits can positively impact academic achievement in subjects such as Creative Writing and beyond. As an educator, I can confidently say that these are positive attributes to attain no matter what subject your students are learning. When the focus is shifted away from standardized test scores, it is clear that the benefits of art education are far reaching. 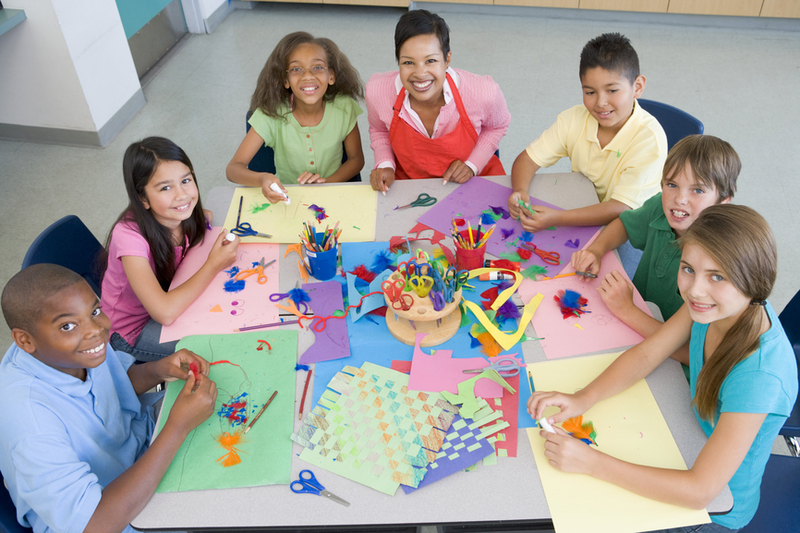 Fine arts can help students develop non-testable skills such as “observing, envisioning, innovating through exploration and reflective self-evaluation” ("Art for Our Sake: School Arts Classes Matter More than Ever - But Not For the Reasons you Think” By: Ellen Winner and Lois Hetland). Just looking more closely at the skill of observation, you can see a direct correlation between skills learned in the art classroom and those required in the working world. Students who learn how to look closely and break something down into its simplest form will be prepared to create new technology and make the small adjustments required to improve in a variety of fields. It’s important to know that there are art educators out there who believe that this kind of research is actually dangerous to the field. They claim that in focusing on the academic and professional benefits of creative arts education, we’re proposing that art isn't important in and of itself; rather, they say we are essentially devaluing learning art for the sake of art. When it comes to arts in education, we should take these claims seriously and try to achieve a balance in our classrooms. While it is important to stress the far-reaching benefits of creative arts education to ensure that important subjects such as dance, drama, and music education programs are not eliminated from the curriculum when money gets tight, we also need to make sure that students and teachers appreciate their inherent value. Art education is a most valuable resource that should not be overlooked. We simply cannot afford to raise a generation of students who know how to fill out a scantron yet lack creativity and vision.